After the madness of the preceding months, October was quiet by comparison. Nintendo clearly didn’t like the prospect of lacking headlines, so announced two new console colours to fill the void. A blue Wii and ice white 3DS console were unveiled, continuing the tradition of Nintendo consoles representing most of the colours found in a rainbow. The 3DS did have some interesting announcements, with Nintendo outlining download software on the horizon as well as additional video services. North America looked forward to Hulu Plus and Netflix, while Europeans were promised 3D video content from Red Bull and Eurosport, with Aardman’s Shaun the Sheep announced for early 2012. 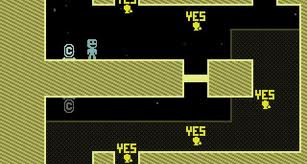 There was mixed news in terms of upcoming game releases, with confirmation that indie title VVVVVV was coming to eShop a positive contrast to the news that Monster Hunter 3 G would only include local multiplayer, with no online play. The hype for The Legend of Zelda: Skyward Sword on Wii approached fever pitch, with a steady stream of interviews, trailers and teaser footage being released by Nintendo. There were also two special concerts celebrating the anniversary of the franchise, and we were lucky enough to attend the Zelda 25th anniversary symphony concert in London. October was a particularly bad month for the Wii, with almost no worthwhile releases for gamers to enjoy. The handheld consoles fared a little better, with both the 3DS and its predecessor DS producing a small number of decent releases. Professor Layton and the Last Specter hit North America and proved to be another excellent entry in the series. 3DS gamers had a reasonable retail choice between the expanded Cave Story 3D and the content-heavy but flawed FIFA 12, while the Solomon’s Key-inspired Pyramids joined the slowly increasing collection of 3DS exclusive download titles. After a high level of backlash PETA claimed that their Mario-bashing was meant as a humorous approach to a serious issue, an explanation that seemed as weak as the campaign itself. Mario enjoyed a particularly diverse range of headlines in November. On the positive side, Super Mario 3D Land sold 343,492 copies in its first week of release in Japan, helping to boost 3DS hardware sales in the process. Strangely, that same title made Mario a target of animal rights campaigners PETA, who claimed that the Tanooki suit encouraged the wearing of furs. PETA even released a primitive flash PC game that portrayed Mario wearing a bloodied Tanooki fur, from the actual animal native to Japan, with the campaign causing a stir amongst the gaming community. After a high level of backlash PETA claimed that their Mario-bashing was meant as a humorous approach to a serious issue, an explanation that seemed as weak as the campaign itself. There was some speculation around Wii U, particularly welcome as news on Nintendo’s next-generation home console had been fairly quiet since its E3 reveal. Rumours focused on Nintendo’s efforts to allow for two tablet controllers to be used at once, a relevant development as E3 units had only shown one of the new controllers in action at any given time. Considering the technology required for instant wireless streaming between the console and controller, this was seen as a key task for Nintendo in the continuing development of Wii U. The 2011 anniversary-fest continued with a vengeance: we celebrated five and ten years of the Wii and GameCube respectively, as well as the 10th anniversaries of Pikmin and Golden Sun. Nintendo certainly had a busy year of commemorative celebrations. With the holiday shopping season in full swing, November proved to be a crazy month, absolutely jam-packed with new titles. We won’t cover them all, but will take a deep breath and cover the major releases. Shining above all others were two premium Nintendo releases: The Legend of Zelda: Skyward Sword on Wii and Super Mario 3D Land on 3DS. They represented entirely different gaming experiences, but were nevertheless both exceptional titles, with Link snagging a perfect 10/10 in our The Legend of Zelda: Skyward Sword review. Another exceptional Wii title was Rayman Origins, with a gorgeous art style, fluid animations and imaginative platforming level design. Skylanders: Spyro’s Adventure was also another high-quality release, particularly for younger gamers, with both the Wii and 3DS versions interacting directly with action figurines to influence gameplay. Disney Universe also arrived on the Wii, but was a disappointment that didn’t quite meet expectations. The 3DS also featured a number of titles beyond Super Mario 3D Land, with Sonic Generations and Shinobi both being solid, if unspectacular additions to their respective franchises. Freakyforms: Your Creations, Alive! was the highest profile download on 3DS and featured typical Nintendo charm while creating quirky creatures. In the face of the oncoming holiday break, this proved to be a rather busy month of news for Nintendo. In early December rumours spread that the legendary Shigeru Miyamoto was retiring, causing enough of an online hubbub to prompt a swift denial from Nintendo. 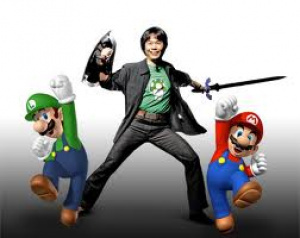 The rumours may have been incorrect, but it did make many discuss and contemplate a time when Miyamoto will no longer guide Nintendo’s biggest game releases. 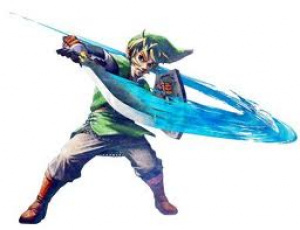 After sustained positive press, The Legend of Zelda: Skyward Sword endured some negative publicity with the news that there was a game-ending glitch that could ruin many hours of adventuring. The chain of events to trigger the issue was relatively unlikely, though clearly some gamers had stumbled across the problem. There was a delay of a couple of weeks before Nintendo finally released a fix, via a standalone Wii Channel that mended corrupted save files. The Wii enjoyed some positive news with the announcement that Xenoblade Chronicles would finally arrive in North America in Spring 2012. Europeans continued to enjoyed preferential treatment in the JRPG localisation stakes, with The Last Story confirmed for a release in the region on 24th February. The positive news continued to roll in for the 3DS, meanwhile, as the handheld’s good run continued with news that it had sold more units in eight months than the DS did in its first year, though the DS had a more staggered global launch. The 3DS would go on to break sales records and major landmarks in Japan and North America, confirming its emergence from a troublesome summer. With the release of Nintendo Letter Box — also known as Swapnote — it was an undeniably positive way for Nintendo to round-off 2011. We also had our final anniversary celebration of the year, looking back on ten years of Animal Crossing. The final month of the year brought another bumper crop of game releases, none more prominent than Mario Kart 7. With a robust online offering and the quality gameplay associated with the series it appeared in many Christmas stockings. The 3DS eShop also featured three high-quality titles that stood out from the crowd: charming puzzler Pullblox – also known as Pushmo – WayForward’s stylish Mighty Switch Force! and finally Zen Pinball 3D — in Europe, at least. It got even better for 3DS Ambassadors, as Nintendo delivered on its promise and supplied ten free, high-quality Game Boy Advance titles to early adopters. The Wii had one more major release up its sleeve, with Fortune Street (Boom Street in some regions) proving to be a sound investment for strategic fun. So that concludes our review of 2011, a year full of drama, unexpected announcements, major successes and terrible lows. 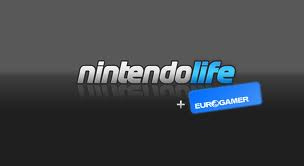 We also enjoyed a big year for Nintendo Life, which included an appearance on the 3DS eShop and a new partnership with Eurogamer. If 2012 is as eventful as 2011, then we’re in for quite a ride. I hope they give us much more this year! Great continuation of the first part, Thomas. It's really good to see things in a bigger perspective. The biggest thing must of course have been the price cute of the 3DS. I really wouldn't have expected it to take off so much just because of it. At that point of his lifetime the DS got most of its media coverage for Brain Training imo. So it's interesting to see that the 3DS doesn't seem to need such a casual killer app. Along with the fine retail and eShop releases during the holidays it makes me anticipate a great time coming for the 3DS. While the cancellation of even the Mega Man Legends 3 prototype was already a hard blow the worst thing about it was how they handled PR on it imo. This still leaves a bit of a sour taste in my mouth. All in all here's to hoping that Nintendo will deliver on all they promised in 2011. The comments of the ANIMA devs were digusting. It would have been great to get something Metroid and Golden Sun for their anniversaries. I liked the Japanese 3DS conferences very much. Not having London Life wasn't nice but acceptable since we could still import. I just hope something like this won't happen for the region-locked systems. There were more amazing DS games than expected (Kirby Mass Attack rules !). Thanks for the work put into the Four Swords DSi release and the orchestra CD with Skyward Sword. The 3DS is already having so many colour options. Great work. I love it, early on everyone thought the company was doomed, then Nintendo came around and made them eat there words on a gold platter! Go Nintendo! Very up and down year for Nintendo with many lows but undoubtedly some great highs at the end led by Mario and Link. Hopefully 2012 is better. 2011... Our last full year . I love how Nintendo turned it all around at Christmas. Whereas before you were hard pressed to find anyone who could speak positively about the 3DS, now when you go to any random forum or view comments on Nintendo posts on Facebook, you see that the negative people are in the minority again. Only Nintendo could turn one of their worst years into one of their best with only two or three first party games and a price drop. I hope that Nintendo has learnt from their failures in the year, especially considering the apprehensions people are having over the Wii U. At the very least, it should mean a launch line-up with at least one high-profile original game in it. Nintendo really did good this year. The major drought of games between March and April was a low and the 3ds having no major titles. Buying my 3ds on the first day is not a regret (I just need money, TAKE MY WALLET NINTENDO). I hope the 3ds will get some games that make me not be able to sleep for a year. GIVE ME MORE AAA GAMES. Great Feature NintendoLife, really well done. It sure was a heck of a year! What are you guys talking about, saying that there was no worthwhile releases on the wii in October?! Have you forgottten about Kirby's Return to Dreamland? Nintendo lives and learns just like everyone else. Grateful for the games that came out last Year , lots of good times and met alotta good online peeps from it. Hope this Year is even better and full of surprises. the last 6 months of last year were much better than the first 6 months for nintendo. sales of the 3ds picked up, with the price drop and more high profiled titles released. in all, glad that nintendo pulled it off in the end. this year will be a massive one for them and us fans, but hopefully, it'll be worth it. @EvisceratorX and @theblackdragon - A bit of an oversight on my part, to be perfectly honest. I'm sure Kirby could have been mentioned instead of Disney Universe in the November part. The Nintendo 3DS is a gateway, the Wii being an archway. No game out or announced, will make real use of ALL the 3DS's features, making the 3DS a damaged gateway, and no game out or announced for the Wii is purely new and fun and in the worst case scenario, giving Wii fans a stale and bitter experience, making that an archway that leads to where you started off. But it's a new year, giving Nintendo and third-party developers a chance to fix the gateway, and to reconstruct that archway. You don't like the Nintendo 3DS? I think it's awesome! @Darkrai Plenty of games used the DS to its ultimate potential before Black and White, such as Golden Sun, Zelda: Phantom Hourglass, Sonic & Sega All-Stars Racing, and much more. I have to say that this year nintendo won me as a customer. I just like videogames, I'm not a fan of Mario or Zelda, but I have to admit that Nintendo is the company that makes the BEST devices, regardless of which has the biggest specs, and treats their customers with RESPECT.